Should you go with a free or paid web hosting plan? Find out the price of free web hosting. Many aspiring entrepreneurs turn to an online website for business success. While in the process of getting online, a free website with hosting may be appealing, but consider the risk involved with a free web host versus a paid. Hosting your business website with a free hosting company may seem like an ideal solution for a new business owner, but if you are building a website with the intent of a successful long-term business, this may not be the wisest choice. Free web hosting companies will usually provide subdomains without a fee, and may not allow you the option of hosting a paid domain with them. A subdomain is a dead giveaway that you are using free services, and presents an unprofessional feel to your potential customers. A subdomain is part of a domain, and is placed before the domain name, such as example.netsonic.net. These names often become long and complicated for website visitors and customers to remember. Search engines see free websites as not being proven, so they give better credibility and higher rankings to paid domain names. Free web hosting companies may not be charging you, but they still need to maintain their service, to do this they are notorious for placing advertisements and other commercial content on your site. This advertising pays for the servers and bandwidth used. 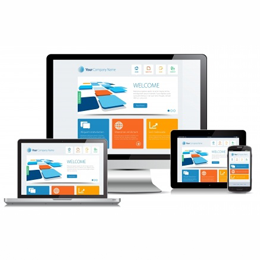 As site owner, you will not have control over the advertising placed on your website. Ads showcased could be from rival companies or for products such as miracle weight loss pills, leaving your website looking cheap and unprofessional. Your website is owned completely by the free web hosting provider, so there are no guarantees your website will always remain up and running, or that the web host will even be around long. Your site content can be removed unexpectedly without notice and cause you to lose your website data completely. Bandwidth and storage space limits are low, and it is not uncommon to reach them causing your website downtime. Many free hosting providers do not have the funds to hire a customer support team; therefore, server maintenance, patch updates and support are slow almost to the point of being non-existent. Free web hosting providers usually place websites on overcrowded, unmaintained, shared servers that are vulnerable to hacker attacks. Each customer on the server has full responsibility of maintaining the security of their own content, and with such a large pool of clients on one server it allows for interaction between users and increases your website vulnerability. This can also be quite risky for e-commerce sites. At some point, your business will outgrow the bandwidth and space restrictions of a free hosting plan. Once you outgrow your free hosting plan, moving to a paid solution will be very difficult. It may be difficult if not impossible to redirect your old subdomain to your newly paid domain. You also will be unable to take your current free website template with you. Everything you created will be lost, and you will have to start from scratch. Ultimately, a paid hosting plan is worth the small investment in the long run for your business success. Netsonic offers affordable shared hosting plans. Perfect for aspiring entrepreneurs!